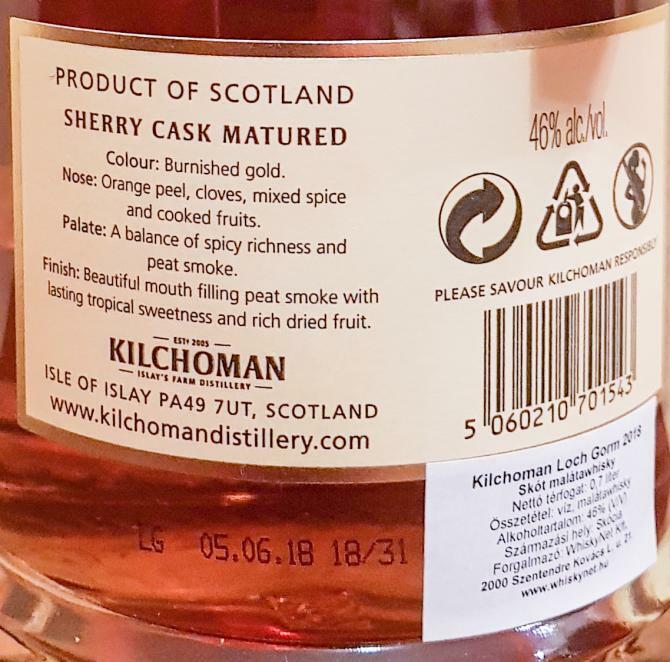 5 years with Sherry sherry finish! the discreet malt, the woody comes back leaving a feeling of old wood soaked! long enough, with peat omni present and cooked fruit, maderized, it's good and it lasts. Nicely selected casks. Deep oloroso notes, dried figs, prunes, and walnut brittle. Clean sweet smoke. Subtle spicy oakiness. The colour is russetmuscat and the nose offers a young and fresh peaty profile with some minor sherry notes. 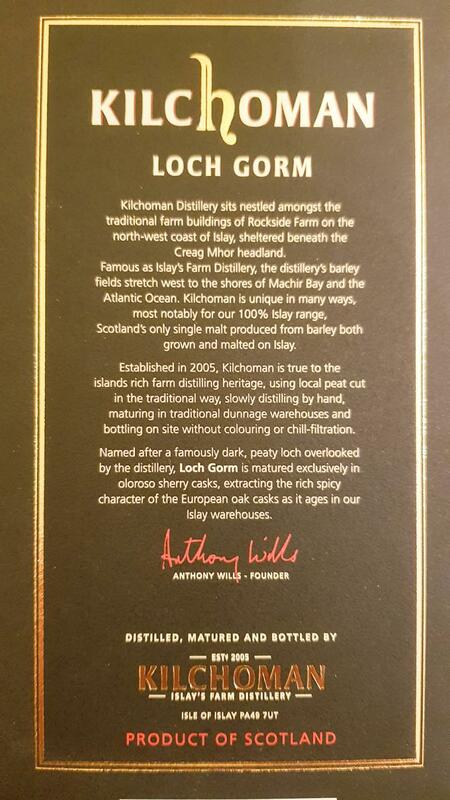 It smells like a young whisky (indeed, it is a young whisky!) but somehow it lacks the power and boldness that can turn even an underaged dram into a star. The sherry and peat are not yet integrated finally and it seems as if they still fight each other for dominance (the peat clearly wins). Water increases the supremacy of the peat even more and it turns the nose into an one-dimensional affair. 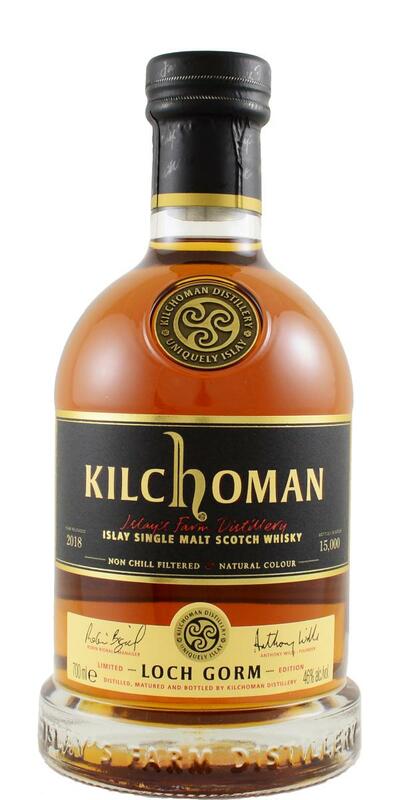 The taste is very sweet on mainly barley sugars with significant peaty notes and rather shy sherry-induced flavours. It is a little simple, actually two-dimensional only. It is not too bad and easy sippable but it lacks both different layers and some complexity to be above average (according to my taste buds). Some water turns both the taste and finish even sweeter and releases more bitter wooden notes - clearly I prefer the neat dram. The dram arrives warming and coating in the mouth with a minor bitter-astringent feeling from the woods. The finish is long and adds some spices that pep up the sweet taste nicely. Again, not much sherry to detect beside the sugars and peat. The end is a little drying from bitter tannins. 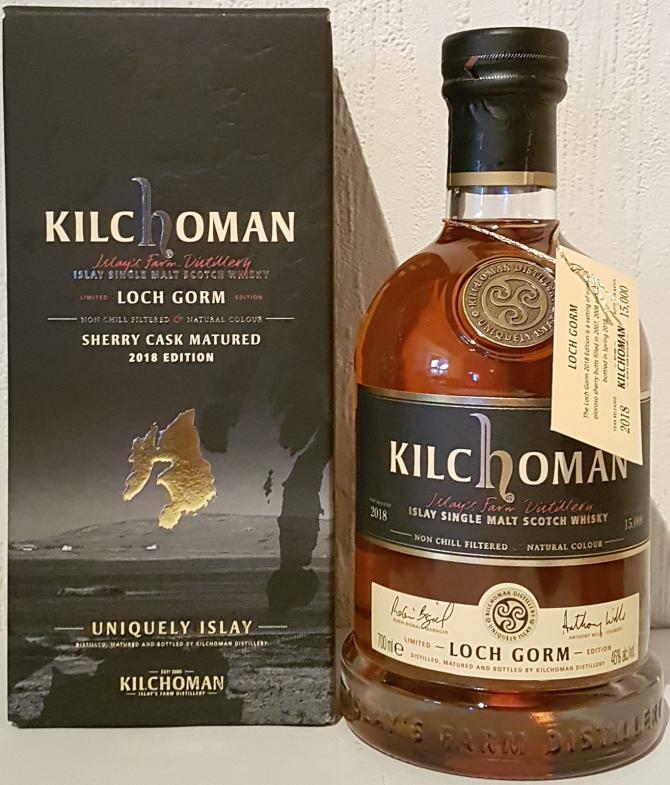 Quite pleasant Kilchoman especially taking into account it’s a NAS release. Easy-going and quite balanced but really overpriced on my opinion. Consider it an expression of a work in progress and you won't be disappointed, unless you think you paid too much for your bottle. It would seem that the experiment is the float the cloying sweetness on a sea of briny peat, and while it makes it over a wave before crashing ashore, in my humble opinion, it needs more time on the wood. Smoke comes thru first before the oloroso sweetness and burn. Superficial sherry but solid Islay characteristics. Lingering salty peat with a hint of sherry. Nice oloroso maturing, but a bit thin at 46% ABV. Peat, eucalyptus, sherry, citrus and forest fruits. Peat, herbals, sherry, salted caramel, pepper and ginger.